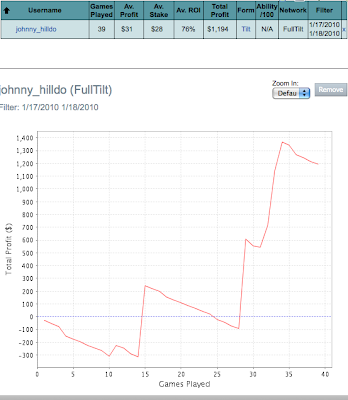 I didn't play as much poker as I would have liked this weekend. Had hockey on Friday night as well as Sunday afternoon, we won both our games again the 1st and 3rd placed team in our division and was able to pocket a couple goals in the two games as well. I loaded up my only session for the weekend at 6:30pm tonight and all in all it was a good session finishing up at 1:30am. I feel my game is getting better and better everyday and with that comes confidence in making the right decisions each time and not focus on the money. Stars wasn't my friend today as I'm down around $500 for the day playing the $12 180 mans, but I felt I played really well, just lost some key pots in key spots. But I always say "short term pain, for long term gain!" I was able to make a decent profit on Full Tilt to make the day a profitable one. Up $1,194 on Tilt, so for the day I'm up $673. Thanks to a win & a few deep runs in the $24 90 mans, and a 2nd & 3rd in the $75 45 mans. Going to watch the latest episode of 24 and then head to bed. Hey Johnny would you be willing to take me on as a student? I can email you my info if you have a spot open. 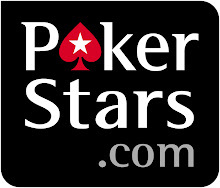 Email coaching@rainmanpoker.net and say you were recommended by me, also leave your screen name for full tilt or pokerstars and we will see what we can do. thanks for the response, I actually am already on Nick's wait list as I've been getting emails from him so I guess I'm on your wait list too heh. if you could put in a recommendation for me though, that would be great. i'm very eager to start learning from you guys.